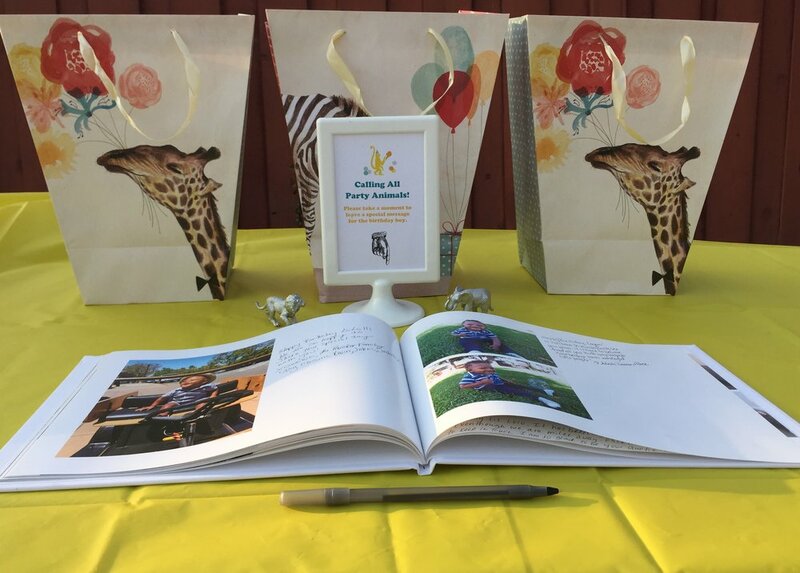 All the party animals were out for this fun zoo themed one year old birthday party at the Oakland Zoo. Our favorite table decor detail were the animal figurines we spray painted silver. This addition was both easy and budget-friendly. The party favors included animal crackers for the kids and banana bread for the adults...yum yum.